BHS Corrugated is strongly committed to support education. In 2003 Ingrid Engel founded with her husband and former BHS general manger and their sons and current general managers of BHS Corrugated Christian and Lars Engel the foundation “Angels for Children”. Angels for Children supports school education in three governmental schools in Ban Sikeud and Ban Phang Heng, two villages on the outskirts of the Lao capital Vientiane. 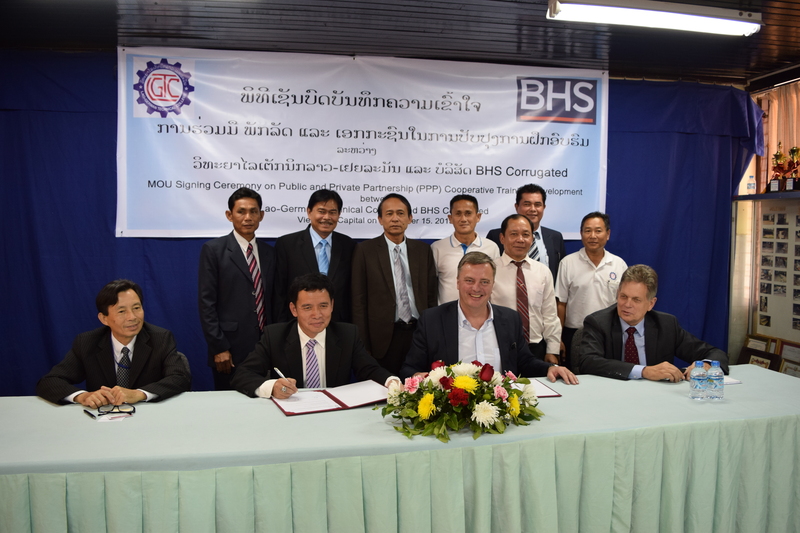 Due to the rising demand for the company’s service, personnel in the Asia-Pacific region and the need of Angels for Children is to also take care of students’ career opportunities, the general management of BHS Corrugated decided in 2015 to set up the RTP with and at the Lao-German Technical College. The Lao-German Technical College was and is seeking the cooperation with companies, with which the concept of Dual-Cooperative training based on the German Dual-Training concept ought to be improved. 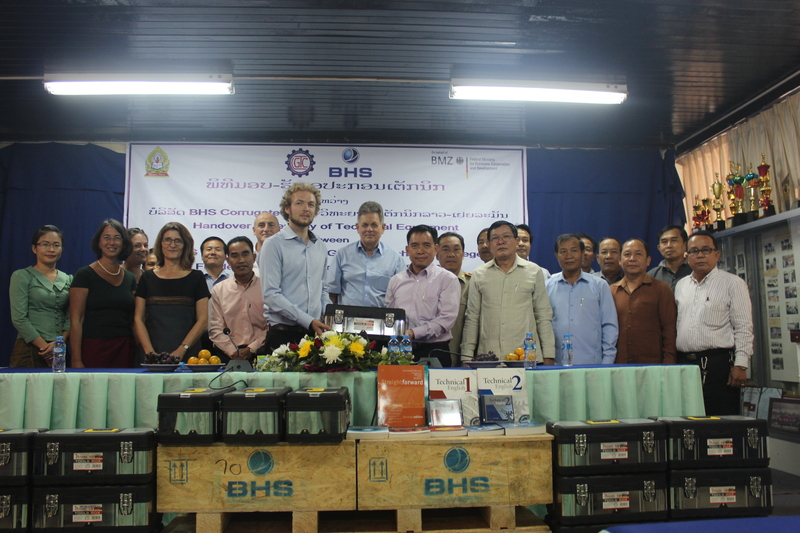 On 15 July 2016 the funding contract between BHS Corrugated and sequa gGmbH on behalf of the German Federal Ministry for Economic Cooperation and Development was signed. 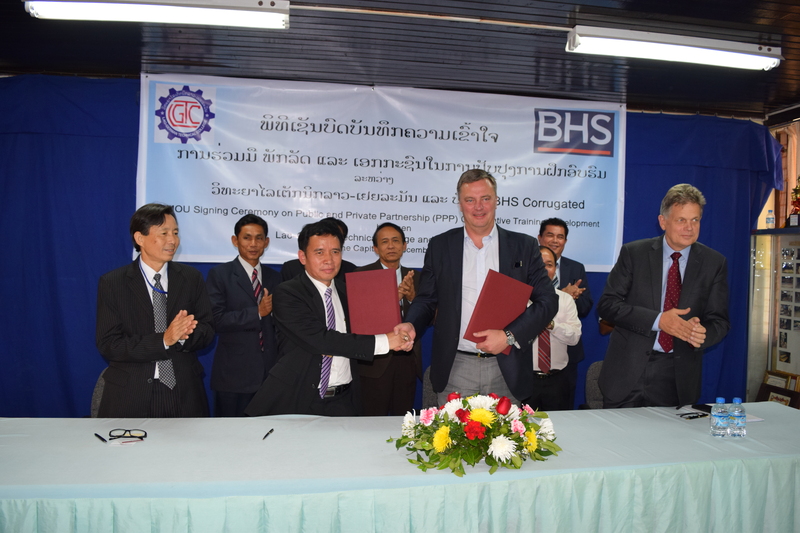 The concrete project activities began with this signature, a few preparatory works had already been done before, including the signature of a Memorandum of Understanding between general manager of BHS Corrugated, Mr. Christian Engel and director of the Lao-German Technical College Mr. Somlith Virivong in late 2015. On 19 September 2016 the first year of training began with 44 apprentices.